I have flipped through the pages of Maya Donenfeld’s book, Reinvention, the past few months dreaming about which projects I’m going to make first. 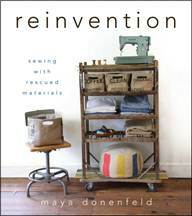 Reinvention is an instructional book that uses rescued fabrics like linen, burlap, wool, and denim. The materials are beautiful and when they are rescued by Maya they are even more beautiful. 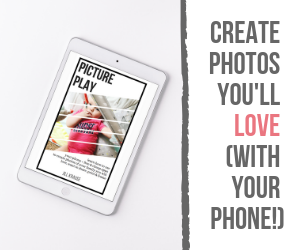 The 28 projects in this book bring you back to simpler times and truly speak to the sustainable crafter. They are simple enough that even the novice seamstress can complete them (like ME). Unfortunately I was saving a few projects for this week and I got sick (inner ear infection) and have been going to bed instead of crafting. No worries though, I’ll catch up over the weekend for you and bring you the rest of my Upcycled Crafting Challenge next week. Portfolio – a laptop or iPad case. Maya made this with rescued linen but I’m going to attempt it with denim. Hammock hideaway – made with denim and looks so relaxing! This book is hardbound and would make a perfect coffee table book. In addition to being an author of a popular upcycling book, Maya is also a blogger. Her blog maya*made reflects the same spirit as her book of living a simple life and reusing materials around the home. While searching through some old projects on her blog I found an adorable travel pillow for kids that I just have to make. Where do you find inspiration and directions to make your upcycled sewing projects? Disclosure: Wiley publishing company sent me a copy of Maya’s book for the purpose of this review. No other compensation was received and the opinions expressed in this post are my own. Those projects looks like fun! I have been making the last necessities for the baby myself but still can’t sew straight, lol. I’m gonna try to to make that pillow also! We are going to have a road trip after the baby is born.